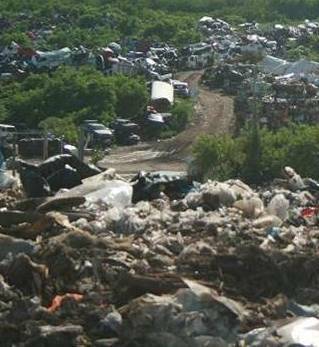 (CNS): Grand Cayman's landfill will soon be re-locating east into the district of Bodden Town as part of the government's forthcoming deal with the Dart Group. Cline Glidden, who has previously led the charge to find a solution to the growing problem of Mount Trashmore, said the new landfill would be an eco-park with various waste management solutions but it would not include a waste-to-energy element. Although Wheelabrator and its local partner had been selected at the end of last year to convert the existing dump and future waste into energy, which would be sold to CUC, Glidden confirmed that this would no longer be the way government would deal with its waste issue. Speaking at a press briefing, held to announce government's imminent deal with the Dart Group, the West Bay government backbencher stated that when the selection process was carried out at the end of last year following the official Request For Proposals on solutions to the dump, the government did not have the new proposal from Dart to remediate the existing dump. However, during the bidding process it is understood that DECCO, the Dart Group’s construction company, did submit a bid as part of a consortium which included a proposal to cap the existing dump and establish a new landfill in Bodden Town. According to the former technical committee chair, that proposal had been listed in 6th or 7th place by the members and it did not make the short list which was recommended to the Central Tenders Committee. The bid had not met the parametres of the RFP at that time and there were concerns about the potential environmental impact of moving a new dump to the central wetlands area. Speaking at the press conference on Wednesday hosted by the premier to announce government's new extensive partnership with the developer, Glidden said that Wheelabrator had been shortlisted only as a potential partner to examine waste-to-energy as a possible solution but had not been awarded the contract. He added that no deals had been signed and now that plans had changed government would be looking for a new solution for the new site. Dart will use swap land it had recently purchased in Bodden Town for the current landfill site, which it will now remediate, it was revealed. The developer has said it will carry out widely welcomed technical work on treating the current landfill site and preventing it from leaking toxins into the North Sound. The premier said that with the help of local waste management expert Walling Whittaker, Dart will convert the dump into a piece of recreational land which will be incorporated into Camana Bay. The land in Bodden Town will then be re-zoned and Dart will develop a new modern eco-waste park which, once phase one is complete, will be delivered to government. The developer will not, however, be involved in the ongoing management of the facility, which will remain in the hands of government or a new private sector partner. In his presentation about the new mega deal with Dart, McKeeva Bush said that it was as a result of Dart wishing to discuss real estate development and the unresolved issue of the dump that the two parties began talking in the first place. He said these discussions led on to wider national issues and the major partnership that government is now entering into with the country's biggest private land owner. Bush said the dump land swap solution was worth an estimated US$26.5 million as government was receiving 110 acres in Bodden Town for the 68 acre George Town site and Dart's remediation and after care management of the existing dump for up to twenty years was valued at around $32.5 million. He explained that the developer would take title of the landfill once it was closed and the remediation work begun. Bush added that the future of the new landfill site would be discussed with the various technical teams within the ministry. (CNS): A group of enthusiastic 4-year-olds leaned a little about the Government’s Department of Immigration on Wednesday when they toured its headquarters on Elgin Avenue. Over 30 pupils from St George’s Pre-school managed to visit a good many of the sections within the department during their short tour, including the office of Chief Immigration Officer Linda Evans, as well as the all-important filing section and behind the scenes at the front desk counter. The department’s Training & Development Manager and former educator Jenifer Gager-Sterling conducted a short quiz at the end of the tour whereby pupils were able to share what they had learnt during their short time with the Department. 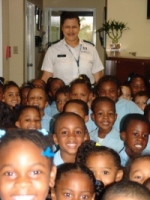 St George’s Pre-School Principal Magdelena Fernandes, who attended the tour with staff and parents, said that this was one of several trips that the school had held for the pupils, according to a GIS release. Chief Immigration Officer Linda Evans says the Department was delighted to host the students. “We hope that the children enjoyed their short visit with us and learnt something about the Immigration Department at the same time,” she said. Young student Danielle thanked Immigration staff for allowing students to tour their Department and said that staff were welcome anytime at the school. 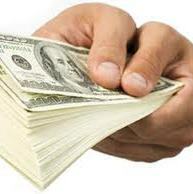 The motivation to regulate the funds also came from the growing pressure with regards international regulation and observations by OECD that the regulatory status of these master funds should be improve and this move is aimed at plugging the regulatory gap in the fund industry. (CNS): The Cayman Under 12 (U12) and Under 10 (U10) rugby squads returned from the Bahamas on Monday, after a very successful weekend tour in Freeport, Bahamas. The format involved a round robin tournament on Saturday and an international game for each level on Sunday. At the U10 level, the Saturday tournament involved one Cayman select side, a Bahamas side and a Freeport Barbarians side (mixed Cayman and Bahamas team) playing 7-a-side. After a number of fast paced and exciting matches the Cayman select side came out on top with the Freeport Barbarians taking second. The U12 10-a-side tournament involved 4 teams. Cayman was represented by the Cayman Iguanas and Cayman Sharks, alongside the Bahamas' Freeport Warriors and Freeport Cheetahs. Once again, Cayman took the top spot, this time with both Cayman sides sharing the spoils, having drawn 15-15 after a hard fought and nail biting match- each team having beaten both Bahamas sides. The Bahamas, to their credit, seemed to improve with every game and, with no game having greater than a 10 point margin, it was a very good, even competition. Sunday saw the Under 10 age group step up to 9-a-side for the international fixture between Cayman and the Bahamas, with the Cayman side captained by the experienced Finn Galway. Under the experienced eye of Cayman’s own NACRA referee, Alasdair Robertson, the Cayman youngsters flew at their opposite numbers from the first whistle and were rewarded with an early try from Hunter Wilkom, following powerful running by Captain Galway and fellow forward, Alfie Parker. The Cayman side showed their experience and technical ability by controlling possession before moving the ball quickly through their halfbacks to the talented runners in the back line. Midway through the first half, Cayman produced a move of real quality when Joe Ribbins forced a turnover and, following excellent rucked ball, quick hands and vision from Doug Rowland and Tommy Kehoe, an opening was created for Trey Milgate, Mason ‘The Bull’ Duval and Justin ‘Jinky’ Derrick to run into. Derrick then cut back inside and unselfishly released Milgate to score, unopposed. With the game plan being executed to perfection, coach Rowland was able to use the depth of his squad, bringing on Wilson for Rowland at scrum half and mixing-up the back line further, with Milgate moving to fly-half for Kehoe. 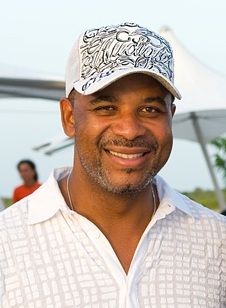 Rolling substitutions and the sensible refereeing of Robertson allowed the game to flow, and although Cayman continued to dominate possession and field position, the Bahamas youngsters began to put more pressure on the Cayman runners and produced some exceptional tackling, clearly determined to stem the tide in the second half of the game. However, coach Kehoe was in no mood to let the opposition get back into the game and he continued to bark instructions from the side line as Cayman went on to score 10 tries and win the game comfortably, 50-0. Try scorers also included Jake ‘Wheels’ Bailey (2), Duval (1), Derrick (3), in addition to further tries for Wilkom (2) and Milgate (2). Honourable mentions go to John-Ross Clough who played on through the pain of an injured hand, and to Finn Lovegrove for his hard work and powerful running up front. 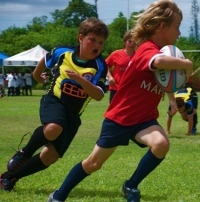 The performance by the Under 10 group of players throughout the weekend was exceptional, as was their behavior and the way they represented Cayman rugby and the Cayman Islands in general. It is also a testament to the youth development program in Cayman with 8 of the 13 player squad having been in involved in the program for over 5 years and all of the squad having played together for the past two years. With the closeness of the Saturday games at the U12 level and in particular with the knowledge that Bahamas possessed a number of very quick players, the U12 side faced a much sterner test for the Sunday international. They were however able to rely on a very strong bench, and the ability to rotate players in and out provedcrucial with Cayman ending up victorious 20-5, with most of the points occurring in the second half. Cayman kicked off and were able to put Bahamas under pressure from the start, but Bahamas were able to withstand the hard tackling from the Cayman side and moved the ball well when they had the opportunity. After 10 minutes, the Cayman team made their first breakthrough. The pack were able to apply some serious pressure on the Bahamas 5 meter line and, having gone close on several occasions, were then able to release the ball out wide to the right where outside centre and captain Lleyton James was able to find the space and go in for Cayman's first try. The half ended with Cayman 5-0 up. The second half began with Cayman's rucking much improved and this led to more ball being sent out wide through fly-halves Jared Duval and Drew Milgate. Cayman's next try, however, came from a series of pick and drives by the pack (following a penalty by Bahamas for being offside at the ruck) with Number 8 Devin Mourao charging forward, James Priaulx and Matteo Polloni clearing out and then tight-head prop Duncan Petrie, with assistance from other members of the pack, driving over the line to make it 10-0. The next try was the best of the day with the pack stealing possession in a ruck and then quickly recycling the ball out to Lleyton James who was able to take the outside and beat several defenders before scoring, to give Cayman a good cushion with a quarter of the match remaining. Disaster struck at the subsequent kick-off, however, with confusion in the Cayman back line resulting in a kick and chase being scored by the Bahamas to make it 15-5. The Cayman side were not about to let this one slip away and, following a fantastic take by Lee Lewis from the kick-off and his drive into Bahamas territory, continued to apply pressure on the Bahamas, resulting in a number of penalties in favor of Cayman. From this pressure, the final score emerged. With the back line all lined up on the left and Bahamas drifting to cover that threat, Danny Link cleverly fed Iain Robertson, who running back at an angle was able to score almost unimpeded. Final score 20-5. It really was a team performance with the whole squad participating in the game. This proved key over the course of a 40 min match in the midday sun. The Bahamas, however, had plenty to be proud of and, considering their youth programme is somewhat younger than that of Cayman, showed plenty of promise. It is hoped that the competition can be an annual event now that the first Conch Cup has been established and Cayman has secured its place in history as its inaugural winner. Gratitude goes to the Freeport Club, in particular Rob Speller and Pete Beirne, for organizing and hosting the event and to Cayman Coaches/Chaperones, Roger Priaulx, Chris Rowland. Alasdair Robertson, Mick Kehoe, Brett Hill, Tim Derrick, Steve James, Greg Link, Alan Milgate, Garry Southway, Stephen Duval, Shawn Mourao, Dave Bailey, Neil Galway, Bill Edwards and Neil Purton. U10 Squad: Finn Galway (Captain), Trey Milgate (Vice-Captain), Hunter Wilkom, Alfie Parker, Joe Ribbins, Doug Rowland, Tommy Kehoe, Mason Duval, Justin Derrick, Jake Bailey, Ewan Wilson, John-Ross Clough, Finn Lovegrove. U12 Squad: Lleyton James (Captain), Devin Mourao (Pack Leader), Duncan Petrie, Seth Wacker, James Priaulx, Iain Robertson, Matteo Polloni, Keegan O’Connor, Matthew Elphinstone, Joe Purton, Aiden Clements, Danny Link, Drew Milgate, Jared Duval, Josh Boland, Becky Southway, Graeme Hill, Leo Bode, Lee Lewis, Hugo Tyson, Will Edwards. "For those who say I'm too old, you saw me tonight, I was better," he added. Whittaker remained unbeaten in a total of thirteen fights dating back to 2004, but was only in a mere two fights in 2009 and one in 2010. Amongst the crowd were Premier McKeeva Bush, MLA Cline Glidden Jr, Minister of Sports Mark Scotland and other dignitaries, along with Sports Director Collin Anglin and the boxer's mother Buleah McField. Bush also announced that an award was also being given to Penny Palfrey for her "superhuman" effort of swimming between Little Cayman and Grand Cayman and commended both the international swimmer and her supporting team. 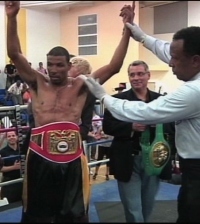 Bush wished Whittaker continued success in his boxing career and hoped that he could inspire Cayman's young men to find disciplined ways and means to handle themselves. He noted that both boxing and swimming are solo sports that require a lot of courage and stamina in combination with both training and experience to not just keep going but to also overcome. The Premier said that consideration was being given to the conferral of "suitable" awards for the respective athletes and that the LA would be further advised on the awards given to the respective athletes "in due course". See the Cayman27 video report. (CNS): The information commissioner has ruled that the legal department was within the law when it refused to answer a number of requests from a single freedom of information applicant because they were believed to be vexatious. In her twelfth ruling Jennifer Dilbert found that the requests were obsessive but she did not find that individually the requests were unreasonable. Instead she pointed to the volume and frequency of the requests that led her to uphold the decision by the government department. “Had the requests been made one at a time, over a longer period of time, I would not expect the Portfolio of Legal Affairs to find them vexatious” stated the commissioner. Given the circumstances Dilbert said she understood how staff could have been distressed by the pattern of the requests and how the requests might cause disruption or annoyance, but she said she was not convinced that they were designed to do so. The FOI Law excuses a public authority from processing FOI requests which are vexatious, or where responding would unreasonably divert resources. In this matter Legal Affairs, refused to respond to the requests as they considered them vexatious as per section 9(a) of the Freedom of Information Law, 2007 (FOI Law). Two separate sets ofrequests were under review during the hearing. The first, made by the applicant to the Portfolio on 30 January 2011, contained 6 separate questions and the second, made on 6 February 2011, asked another 5. The questions themselves were for mainly statistical information. In their submission, the Portfolio argued that the volume, length and frequency of the requests could fairly be characterized as “obsessive or manifestly unreasonable”. They listed 23 separate FOI requests, containing more than 100 questions over the 8 month period prior to 6 February 2011. 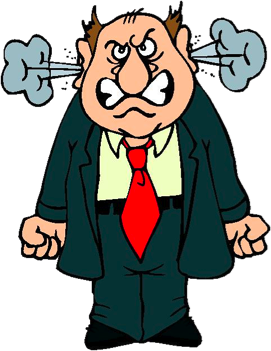 Following guidelines from the UK in regard to vexatious requests Dilbert considered if the requests were obsessive, harassing, imposed a significant burden, designed to disrupt or annoy or lacked serious purpose or value. The commissioner found that the requests were obsessive and upheld the portfolio’s decision “I find that there is a continuing pattern of behaviour on the part of the applicant that points to these requests being obsessive,” she added. Dilbert said that in order for FOI to succeed, there must be support from all sides. “Applicants should use the FOI responsibly. To abuse the rights given under the Law brings the Law into disrepute, and undermines the operation of the Law for the benefit of others,” the commissioner added. The PPM’s new leader said that the premier often spoke about immigration reform but had only been tinkering around the edges and it was now time to confront the rollover issue. “We in the opposition believe the time has come to abandon the rollover policy in favour of a more business friendly approach,” he said. Although the law was passed by the previous United Democratic Party administration and the opposition, McLaughlin said he had also supported the policy but it was now clear that it was creating problems for the business community and the country as a whole. He said it discouraged people from settling into the community and created real difficulties for businesses, who were forced to lose trusted staff, often at a critical juncture. The PPM leader said government should change the policy and introduce new legislation that will allow all work permit holders who have reached the eight year mark to make an application for permanent residency. He said that everyone should be required to do so within two years but not every application should be granted. People wouldneed to show real commitment to society and a means of supporting themselves, the opposition leader noted. McLaughlin said that the bar should not be set so high that only property owning professionals would be awarded residency, nor should the bar be so low as to allow everyone to receive PR. The opposition leader said abandoning the seven year limit would assist businesses and address the wide dissatisfaction in the community about the policy, which he said discouraged people from putting down roots and integrating. McLaughlin noted that the UDP had successfully convinced the voting public that the “PPM was anti-foreigner” and that it was it the previous government, of which he was a part, that had driven away business because of it. McLaughlin said it was simply not true and that in reality business was now being driven away as a result of the current government’s economic policies, which had pushed up the cost of doing business to unprecedented levels. McLaughlin accused the premier of being “hell bent” on assisting a select few major international investors with concessions and waivers and permits but was doing nothing at all to assist local business or those in the financial sector that had been here for many years and were the backbone of the economy. He said the premier appeared to be obsessed with big business to the detriment of smaller businesses that were crippled by UDP policies from the increase in fuel duty to the cost of work permits and other business fees. (CNS): Local divers have documented the underwater world that is at risk should the proposed East End commercial seaport receive the official government go-ahead. At least seven dive sites on the south eastern coast are under threat as a result of the potential development which has been dubbed the “mega quarry” or “big hole” project by local objectors as the excavation period for the project is expected to last more than five years. Divershave made a short –film of the sites at risk and posted the results on YouTube as part of the growing campaign to stop the development. As well as excavating a basin of some 4million sqft the developer proposes to dredge a 60ft deep, 1,600 ft long by 600 ft wide channel. The video shows just a small selection of the popular, most visited dive sites and underwater beauty in the Half Moon Bay area which are riskfrom the development. 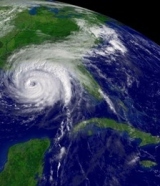 The video lists the various sites under threat and notes the continued popularity and importance of diving to the Cayman Islands tourism product. As many as ten thousand dives are made in East End every year and the area at risk is f particular importance as it is one of the few areas where visitors can dive safely in rough weather. The loss of these seven sites would undermine Cayman’s ability to offer diving 365 days per year. The opposition to the commercial port project has come from some diverse areas across the whole of the Cayman community. For what may even be the first time environmentalists are rubbing shoulders with quarry operators in a common cause. Divers and businessmen, politicians and teens, ex-pats and locals as well as West Bayers and Eastenders have all vowed to fight the proposed development. (CNS): As the Turks and Caicos Islands bounces from one crisis to another the islands’ former leader Michael Misick has described the interim UK government as the “worst administration in the history,” of the country. 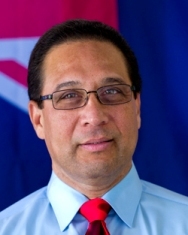 Breaking his silence the former leader of the Progressive National Party issued a statement Tuesday night regarding the current state of affairs in the overseas territory, the financial problems and the constitution which the UK is attempting to impose on the country. Misick said in the face of the complete destruction of his “beloved country at the hands of the British government, Dictator Gordon Wetherell, he could no longer remain quiet. He said three years after the “UK’s unnecessary invasion of our country,” unemployment was at 30 percent, no investment was taking place, crime was at a all-time high, public sector workers were losing their jobs and freedom of speech was being suppressed amid a climate of fear. “This Interim Government has been such a spectacular failure, that even those who called for them to come to the Turks and Caicos Islands, are now angry and disappointed with them, crying out for them to leave and are prepared to expel them from this beautiful by nature country. It was never this bad; not even under the PDM. Even the PDM was a better government than this interim administration,” Misick said in his statement as he called for independence.